While waiting in line at the grocery store the other day, I casually glanced over the magazine selections. That’s always a good time to catch up on celebrity gossip and alien abductions. Amidst the usual impulse-buy fodder, my eye was drawn to Paula Deen’s Chocolate Celebration. Of course, my love of chocolate is no secret. 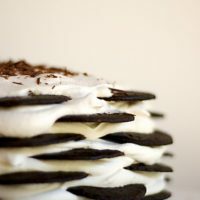 How can you love decadent desserts and not be a fan? So, into the cart it went. My first pass through the magazine yielded quite a few recipes I wanted to try. I have to say that I am surprised that my first offering to you from this magazine would be made with white chocolate. I’m not a huge fan of it, although I think it definitely has its uses. One of those is its delicious compatibility with macadamias, showcased in this recipe. These blondies are made in muffin cups, much like those recent Brownie Peanut Butter Cups. It serves as a nice twist on the standard bar shape. 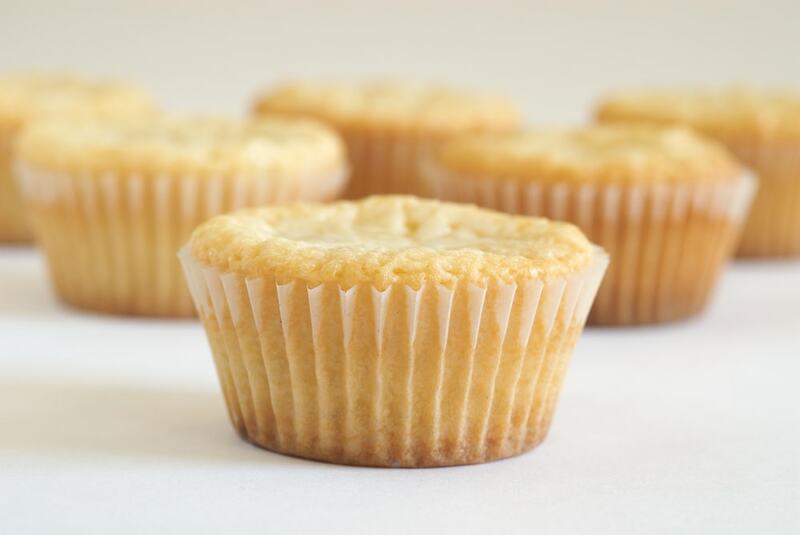 Mini-muffin pans make bite-size treats, which are great for transporting. That’s certainly a plus in picnic/barbecue season. Be warned that these are very sweet. Certainly not for the faint of dessert. Another good reason to make them miniature. One is about all you’ll want to eat. By the way, a big, big thanks to the guys at Oh! Nuts for the macadamia nuts as well as a few other items. If you need a place to get nuts, dried fruits, and many other fantastic treats, be sure to check them out. Place butter and 4 ounces white chocolate in a large bowl. Microwave on high in 30 second intervals, stirring between each, until mixture is smooth. 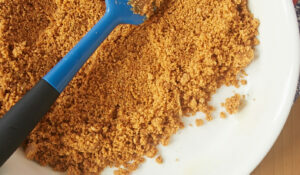 Stir in brown sugar and granulated sugar. Stir in eggs, one at a time, and beat well after each addition. Gradually stir in flour. Stir in vanilla. Then, stir in white chocolate morsels and nuts. Spoon batter into muffin pans. Bake for about 15 minutes, until lightly browned. Cool in pans for 5 minutes. Then, remove from pans and cool on wire racks. Recipe adapted from Paula Deen’s Chocolate Celebration. Whoa… as always, we are on similiar wavelengths… I just made some white chocolate chip blondies on Sunday! These sound good though… I love macadamia nuts! These look very tempting! My Husband would really like these! I have that magazine at home. I’m looking for a good summer rescipe for this week-end, My sister and I are cooking for our Dad. Like you, I am not a huge fan of white chocolate (unless it is used to cover pretzels or Mama’s famous Ritz Cracker/peanut butter combos.) In these small desserts, I will have to say that the white chocolate is “just enough” to make these absolutely delicious. 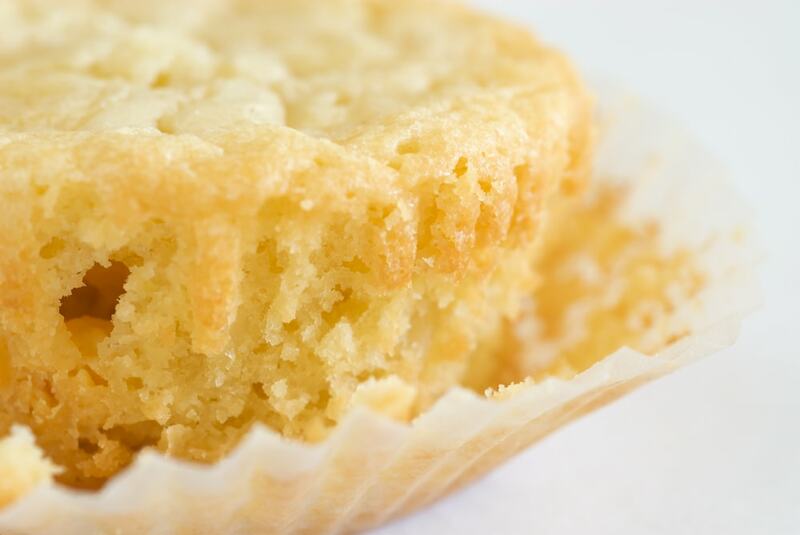 Of course, the beloved macadamia is more than likely the one to take the credit for how delicious these blondies are! These were great! Just the right size too! A big cupcake size might be too much for the sweet taste these treats have. Thanks for saving some of these for us! 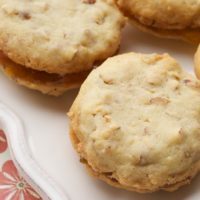 I just made tropical cookies with macadamia nuts, white chocolate, mango and coconut! I’m not a huge fan of white chocolate either, but every now and then I want it in something sweet. I, too, am an impulse buyer. I saw this book at my local grocery store,and of course, I HAD to have it. I haven’t tried these yet, but they are one of the ones in the book that popped out at me. 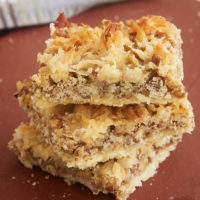 Try the Southern Pecan Cheesecake bars. OMG! They’re so good!! 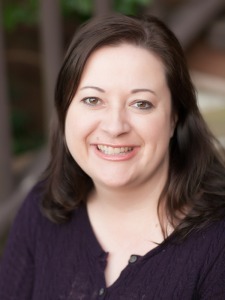 By the way, I just love your blog. Keep up the good work,and keep those recipes coming! All of your dessert choices appeal to me! I’m drawn to those sorts of magazines as well. Wow these little muffins are fantastic and look really delicious!! 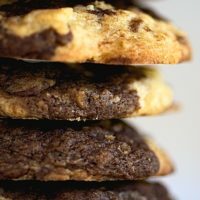 I just found your website and love your recipes!! I will be baking today. Thanks for all the recipes! Amy, it’s amazing what similar tastes we have. We Southern girls know our desserts! Cindy, I’m sure you’d like them! Let me know what you think if you make them. Ah, yes, Nan… the infamous Ritz & peanut butter treats. I always preferred the white chocolate to the almond bark. Christy, I actually came very close to making those cheesecake bars last week. They will hopefully be the next thing I make from this magazine. bunny, aren’t there some great recipes in there? Cynthia, I’m glad you found me! Have fun baking! Yum I was just reading about blondies on Cakespy and I’ve always wanted to make white chocolate blondies! Oh my goodness, these sound delicious. I’m not sure I’m buying the “smaller is better” thing though. Oh, man. Those look good! Have you ever tried the coconut white chocolate by Lindt? It’s really good. As far as decadence goes, Paula Deen is definitely the winner. These look truly incredible although I’ve recently found white chocolate to be a bit too sweet for my tastes. I usually find most blondies to be a bit too sweet for me, I need something to cut through the sweetness, like some rich cocoa goodness! 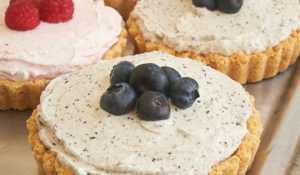 Hey, by the way, I hope you’ll enter one of your rockin’ PB recipes into Peanut Butter Exhibition #3 for Cakes/Cupcakes! Unfortunately, you have an unfair advantage, everything you post looks like a winner. I love white chocolate, Jen, and these are amazing! It’s the first time I see blondies baked in cupcake paper cases. I like the muffin cup/cupcake idea to. It makes them easier to pack as snacks. 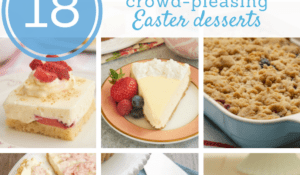 I love sweets, but I’m not a fan of the crumbs they leave behind…and you know these have to be tasty if Paula Deen had a hand in the recipe :D.
Emiline, I haven’t tried that! I will be on the lookout now, though. Yum! Thanks, Nick! I’ll be sure to check out the competition. Thanks, Patricia! These lend themselves well to this shape and size. Sophie, I just assume if it’s a Paula dessert it will be delicious! Looks wonderfully moist and delicious. YUM. 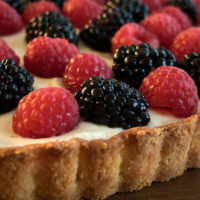 What a great dessert or afternoon snack. 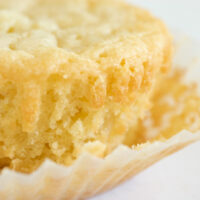 I truly believe that white chocolate has its place in cakes and minis like muffins and yours do it justice!! 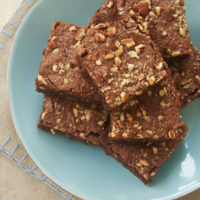 Hi, I was just wondering whether you could make these blondies without the nuts? Winnie, I think that would be just fine. Enjoy!